The majority of gemstones, such as diamonds and sapphires, are minerals. They’re inorganic pieces born from geological activity. Jewels such as mother of pearl stand apart this organic gem comes from animals. 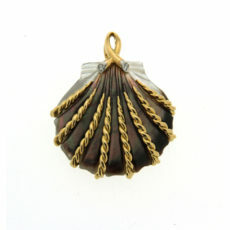 Mother of pearl, also known as nacre, is taken from shells. What makes mother of pearl stand out from other mollusks is its nacreous sheen, also called iridescence. Multiple species produce this gem, including those farmed for pearls. Due to the gem’s opacity, it’s not compatible with faceting. Other techniques help draw out its beauty. 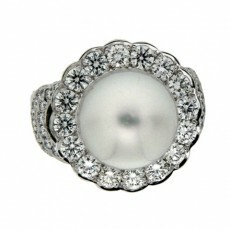 Cabochons are a cut consisting of a tall rounded top and flat bottom facet. 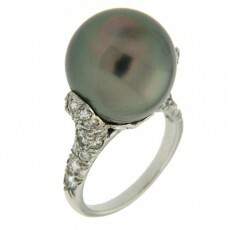 A member of the rare Crystal Gem family, a pearl is the natural embodiment of perfection. Born inside the shell of a living mollusk in the deep toughs of oceans, pearls are one of the rarest and most expensive of gems known to this planet. Pearls are more than just jewels. Rich and adaptable, they can be described as lustrous stars in the world of fine jewelry. 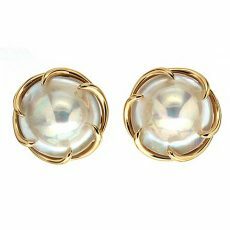 A single pearl piece can be fashionable, feminine and fresh. It is able to take a woman through any event in her life, any outfit in her wardrobe. With the correct care, the jewel will remain bright and beautiful for generations to come. 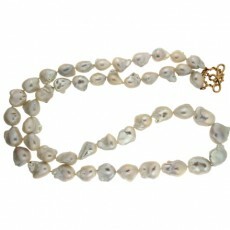 Pearls are gemstones which stand out from the rest. Unlike many jewels, they are organic, born from animals rather than the earth’s crust or mantle. They are also uncommon in that they can take months to a few years to form, as opposed to the millions of years stones such as diamonds or sapphires take. 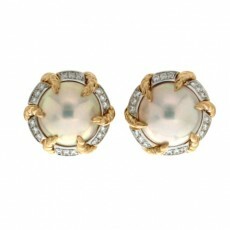 Rather than searching for naturally formed pieces, most pearls on the market originate from farms. 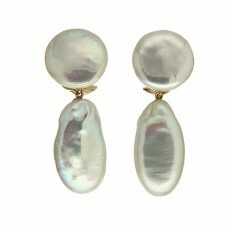 Pearls are a particularly delicate gemstone. It is important to take special care of your pearl jewelry to ensure it stays bright and beautiful for generations to come. Jewels of all kinds are special. 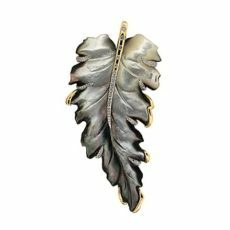 They depend on special factors in nature to form, creating a mineral or organic piece that gladdens the eye. Human hands also play a part, enhancing a stone’s traits and turning it into a masterpiece. On rare occasions, a person will find a gemstone of rare quality, be it the color, size, shape or convergence of traits thought to be legendary. 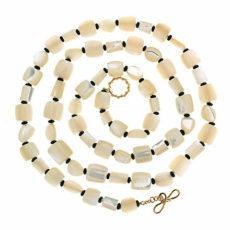 Mother of pearl has strong durability in some aspects, but is fragile in others. 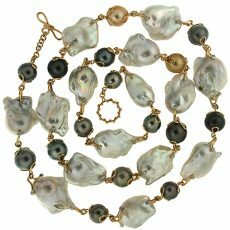 Read about ways you can care for your mother of pearl jewelry. Collecting saltwater pearls has historically been a tricky task, with the desired mollusks living ten feet, or more often forty feet and deeper below sea level. Between the cold, limited air and other factors, a lot could go wrong for the divers. Regardless, the beauty of this gem sent countless people beneath the waves in regions as diverse as South America, Australia, India, the Persian Gulf and the Philippines.